In our last post, we talked about the evolution of Internet marketing. 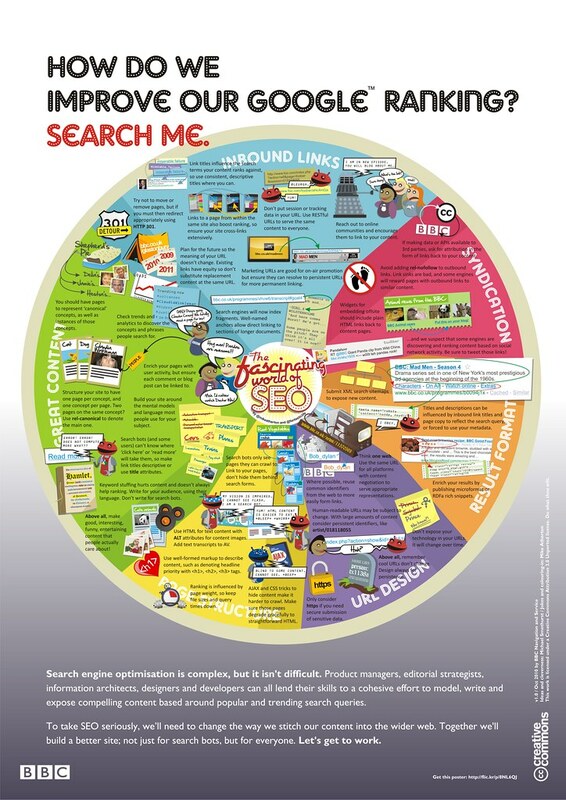 This “The Fascinating World of SEO” infograph from the BBC helps illustrate the components that go into SEO. While I do not agree with the apportionment of the pie chart, it is an interesting visual with some useful points. Unfortunately, the infographic suffers from stuffing too much information into the graphic, which really takes away from the points they are trying to make.